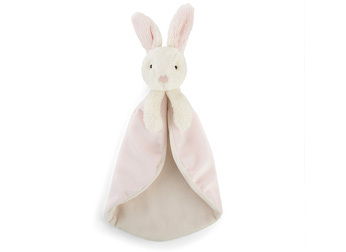 Looking grand in a cotton-candy cloak, it’s our Bobtail Bunny Pink Soother! With a bobbly nose and long, lovely ears, our regal rabbit is looking rosy. Sleepy toddlers can steal a quick nap snuggled up to this velvety soother.